MINNEAPOLIS – Philip Nache could have given in to despair. Boko Haram, the jihadist militant group located in Nigeria, had threatened his life, martyred a convert to Christianity and continued to intimidate Christians. But despite the danger, Nache expected to return and serve the people he’d spent nearly 20 years ministering to, pastoring and planting churches among. 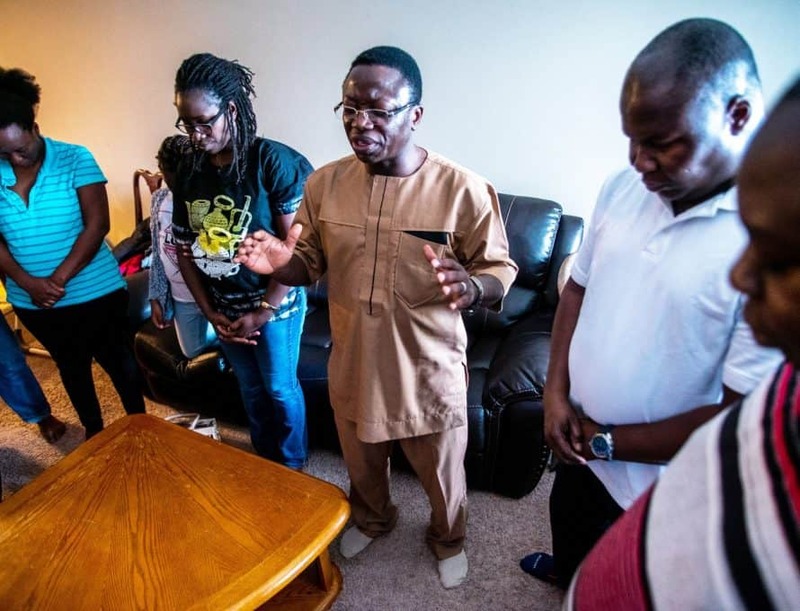 He had come to the United States to attend Southern Baptist Theological Seminary, a moment of divine timing that coincided with Boko Haram’s first threats on his life. “It’s like I was in Africa—the northern part of Africa. Because I [saw a] basket full of people—Africans,” Nache recalled of his first vision trip to the city. “Our desire is to keep multiplying and reaching out to more people groups, especially people from Africa,” said Nache. Gifts made to the Southern Baptist Convention’s Cooperative Program and to the Annie Armstrong Easter Offering support North American missionaries in the field like Philip and Jummai Nache.